The artwork and ideas of Nam June Paik were a major influence on late 20th-century art and continue to inspire a new generation of artists. “Nam June Paik: Global Visionary” offers an unprecedented view into the artist’s creative method by featuring key artworks that convey Paik’s extraordinary accomplishments as a major international artist as well as material drawn from the Nam June Paik Archive, which was acquired by the Smithsonian American Art Museum from the artist’s estate in 2009. The archive, along with several significant works by Paik on permanent public view, has established the museum as the international center for the study of Nam June Paik’s achievements. Korean-born Paik (1932-2006), known as the “father of video art,” almost single-handedly transformed video into an artist’s medium through his sculptures, installations, videotapes and television projects. Paik is recognized worldwide for his innovative, media-based artwork that is grounded in the practices of avant-garde music and performance art. His art and ideas embodied a radical new vision for an art form that he knew would be embraced around the world and that would change visual culture. The exhibition includes 67 artworks and more than 140 items from the archive. Several rare artworks borrowed from private and public collections in the United States and abroad are featured, including “Random Access (Schallplattenschaschlik)” (1963; 1979) from the Vehbi Koç Foundation, “TV Garden” (1974; 2000) from the Solomon R. Guggenheim Museum, “Whitney Buddha Complex” (1981-1985) from the Hessel Museum of Art at Bard College and Paik’s rarely seen installation “Moon Projection with E Moon and Birds” (1996), on loan from the Paik Estate. Three exceptional artworks from the museum’s collection are included in the exhibition: “Zen for TV” (1963; 1976), “Megatron/Matrix” (1995) and “Electronic Superhighway: Continental U.S., Alaska, Hawaii” (1995). 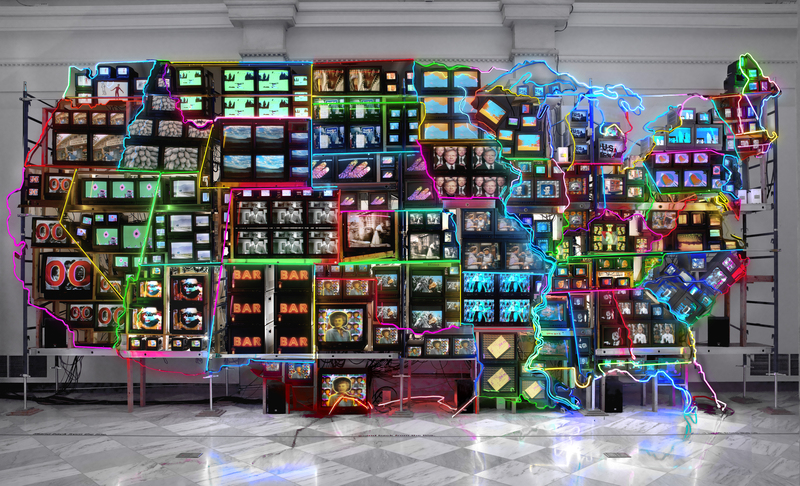 “Nam June Paik: Global Visionary” displays the extraordinary range of the artist’s accomplishments and the complexity of his ideas. It features his personal history through thematic groupings that draw on the resources of the Nam June Paik Archive. Paik’s writings and the materials he collected reveal the influences of Asian and Western philosophy, as well as developments in technology and science. The museum uses these materials to show the development of his innovative and radical conceptualization of the future roles of communication technologies in the expanding global media culture. The exhibition catalog is written by Hanhardt and focuses on Paik’s global journey and multidisciplinary art practice. It includes an introduction by Broun and an essay by the artist’s nephew Ken Hakuta reflecting on his uncle’s life. The book, co-published by the museum and D Giles Limited, is for sale ($55) in the museum store, through the museum’s website and at bookstores nationwide. One of the robots created by Paik has “come to life” on Twitter under the handle @PaikBot. Visitors can follow PaikBot for behind-the-scenes information, interesting facts about Paik and the opportunity to ask questions about the exhibition. The public also can help the robot travel the world virtually with the “Flat PaikBot” project on Pinterest at pinterest.com/americanartpin. An interactive digital archive is available online and in the galleries as a research reference for Paik’s art and career. Additional content, including a slide show of selected artworks included in the exhibition and commentary about the exhibition by Hanhardt will be available during the exhibition run on the museum’s website, americanart.si.edu/paik. Photographs and time-lapse videos documenting the installation of the exhibition are on Flickr at flickr.com/photos/americanartmuseum and on YouTube at youtube.com/americanartmuseum. The public also may follow the museum for exhibition updates on Facebook at facebook.com/americanart or on Twitter by following @americanart and using #paik. Numerous public programs ranging from scholarly lectures and gallery talks to films and family activities accompany the exhibition. Hanhardt will discuss Paik’s career and influence on 20th-century art Friday, Jan. 11, 2013, at 7 p.m. Two gallery talks discussing Paik’s artistic method will be presented, one by Hanhardt Tuesday, Jan. 29, 2013, at 6 p.m. and another by Mansfield Tuesday, Feb. 12, 2013, at 6 p.m. Additional programs and details are available on the museum’s website, americanart.si.edu/paik, and in a separate press release. A daylong celebration of Paik’s artistic legacy, “Nam June Paik: Art and Process” is scheduled for Sunday, April 14, 2013. A symposium will take place from 1 to 4 p.m. in the museum’s McEvoy Auditorium; confirmed participants include Edith Decker Phillips, independent scholar; Stephen Vitiello, artist; Jud Yalkut, artist; Greg Zinman, independent scholar; and Hanhardt. At 4:30 p.m., Mansfield will lead a gallery talk through “Nam June Paik: Global Visionary.” From 7 to 8:30 p.m., Ryuichi Sakamoto, Academy Award- and Grammy Award-winning musician and composer will join Steina Vasulka, artist, and Vitiello to perform musical works by Paik or those inspired by the artist. Details and a full schedule of events will be available on the museum’s website, americanart.si.edu/paik. The Nam June Paik Archive is a blend of traditional paper holdings—letters, writings and ephemera—and objects—studio effects, recordings, vintage electronics and other source materials. The archive includes Paik’s early writings on art, history and technology as well as performance scores, production notes for videotape and television projects, plans for video installations, vintage photographs and documentation of large-scale television projects such as “Guadalcanal Requiem” (1977/1979) and “The More the Better” (1988). 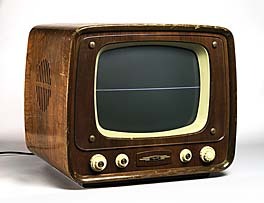 The archive includes a variety of early models of televisions and video projectors, radios, record players, and cameras. Toys, games, folk sculptures, more than 300 books and magazines and the desk where he painted in his studio are also part of the archive. Each aspect of the collection gains strength from the other, and together they present a fascinating picture of the artist’s life, work and creative process. The Nam June Paik Archive is a gift of the Paik Estate. Though the estate gift forms the core of the archive, additional items from private collections have also been acquired and are welcomed, with the goal of enhancing research assets on this artist. Support for the Nam June Paik Archive was received from the Smithsonian’s Collections Care and Preservation Fund. 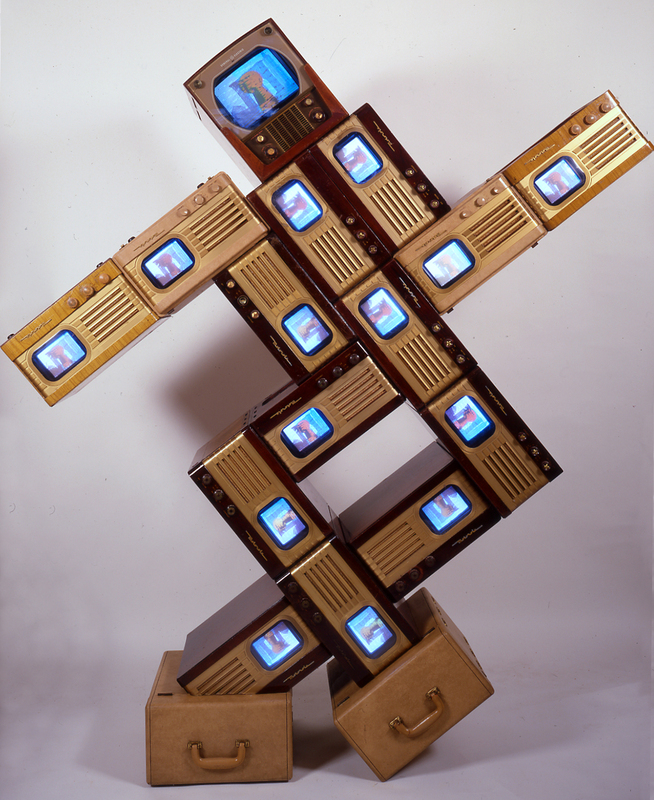 Nam June Paik, Merce/Digital, 1988 singlechannel video sculpture with vintage television cabinets and fifteen monitors; color, silent, collection of Roselyne Chroman Swig. 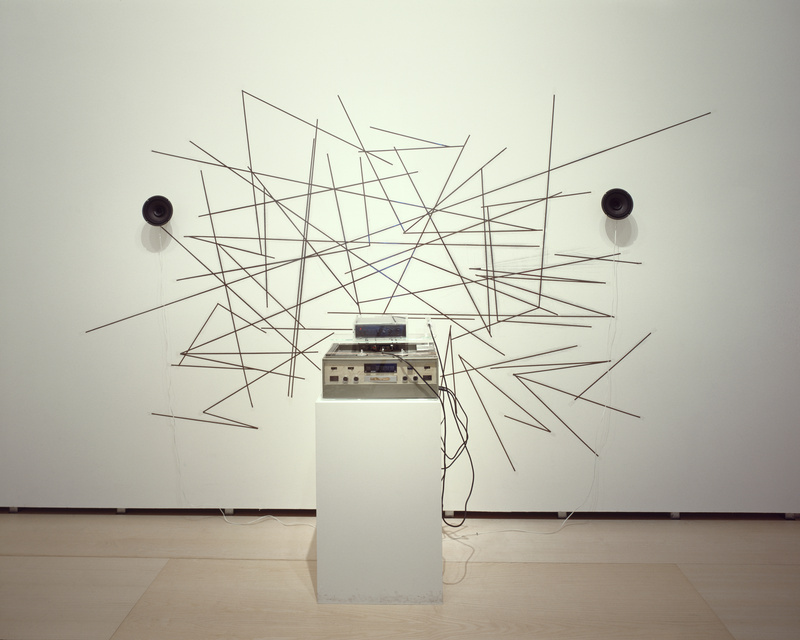 Nam June Paik, Random Access, 1963/2000, strips of audiotape, open-reel audio deck, extended playback head, and speakers, Solomon R. Guggenheim Museum, New York.